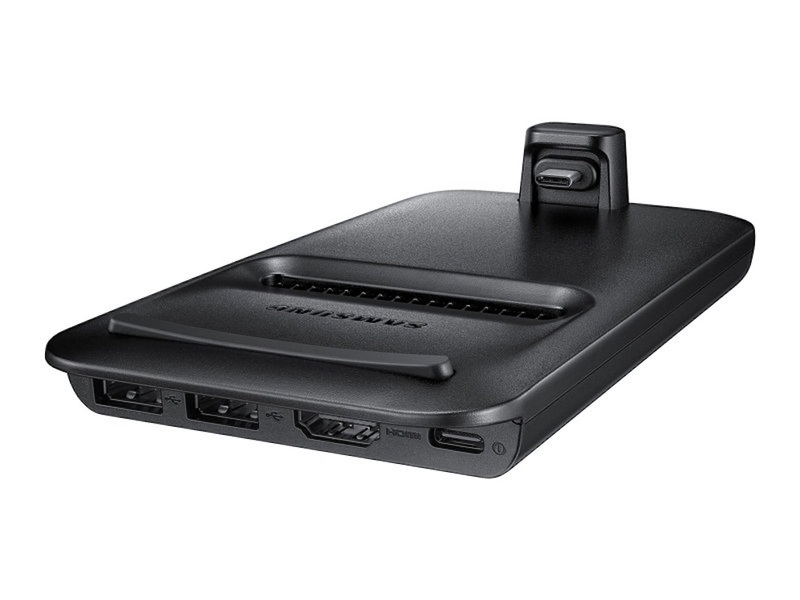 Tired of lugging hernia-inducing laptop equipment with him, PAT PILCHER turned to Samsung’s DeX Pad to lighten the load. 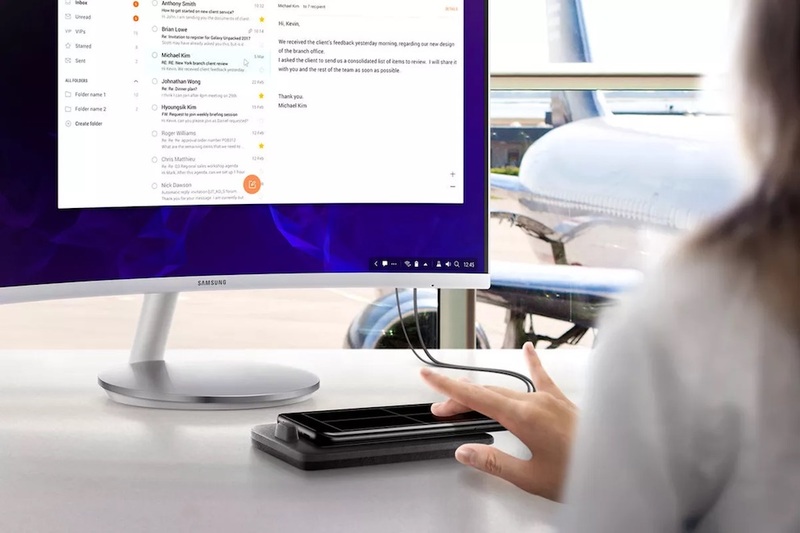 Samsung’s DeX Pad is not your average phone docking cradle – it’ll turn a Samsung S9/S9+ into a functioning Android-powered PC when connected to a keyboard mouse and screen. The DeX concept was announced along with the S8 last year. This year’s version takes what was good with the original DeX dock (that’s pretty much everything) and tweaks it to make it even better. With the DeX Pad, my phone slid onto a USB-Type C connector, leaving me with a PC-like environment that’ll be instantly familiar to anyone who has spent time with a Chromebook. All that was required was a keyboard, mouse and monitor. Just add phone and stir! A particularly nifty feature is being able to use my phone as a touchpad, which means even less cruft to carry. 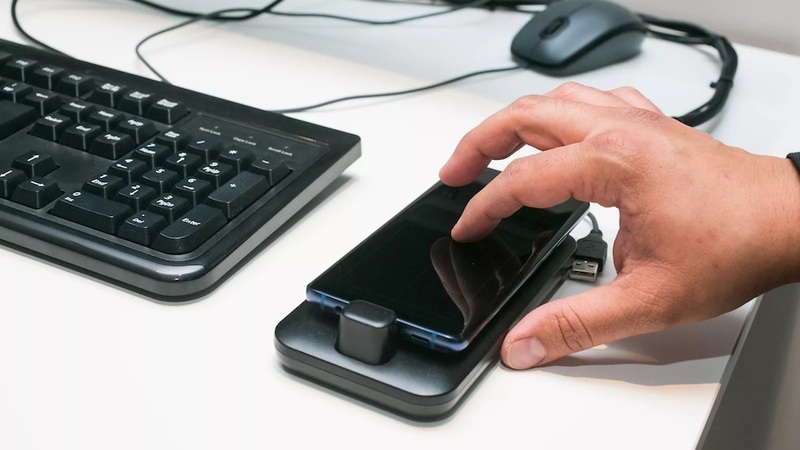 On the looks front, the DeX Pad has been transformed from its original rounded puck design to a flat pad that gives you access to your phone’s screen for use as a touchpad – that’s assuming you haven’t plugged a desk rodent into one of the two USB ports on the back of the DeX Pad. There’s also an HDMI-out connector and a USB C port which can handily act as a charger for accessories such as wireless headphones. The one thing missing on the new design is an ethernet port. It’s fair to assume that Samsung is guessing most people will make use of Wi-Fi or 4G instead, but ethernet would have been nice. Either way, the new DeX Pad is now far lighter than the original, which means less to lug around. One thing that was noticeable was a cooling fan. Given the S8/S9 is being asked to do the job of a PC, it isn’t terribly surprising that it tends to run hot, so the cooling fan makes a considerable amount of sense. In use, it wasn’t a distraction, and in most office environments, it probably won’t be noticeable. So, what was it like in use? If you’ve ever used a Chromebook, you’re pretty much there. With the free MS office apps installed, my phone became a full-on desktop productivity tool that could rival most office laptop PCs. About the only real drawback with docking an Android phone with a monitor, mouse and keyboard is that the apps are designed for use on the phone rather than a desktop PC. Not a biggie, but definitely food for thought. A particularly nice feature is the ability to access and use my s9 within a virtual window. This meant I could send and receive text messages and use mobile apps. Best of all, laptop bag-induced hernias become a thing of the past as the DeX Pad and phone combo, plus keyboard and HDMI cable are several bazillion times lighter than a clunky notebook PC. So, would I recommend the DeX Pad? Definitely. For any hot-desking environment, this approach just makes a tonne of sense.